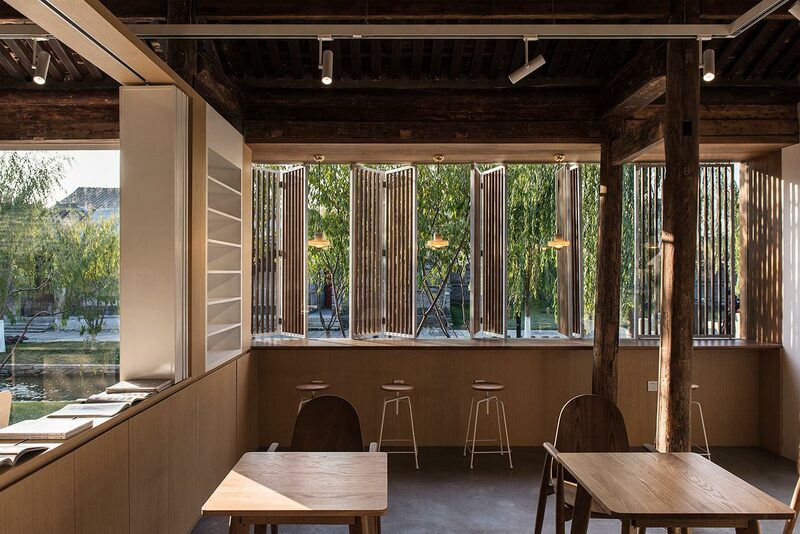 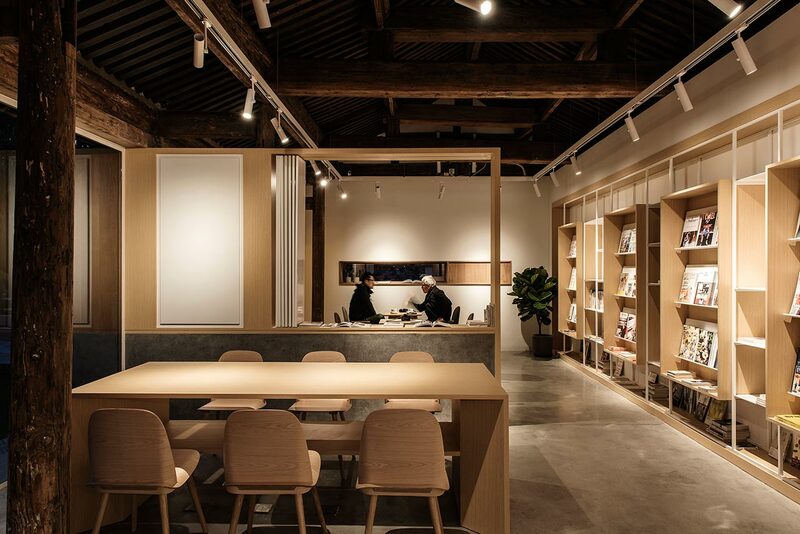 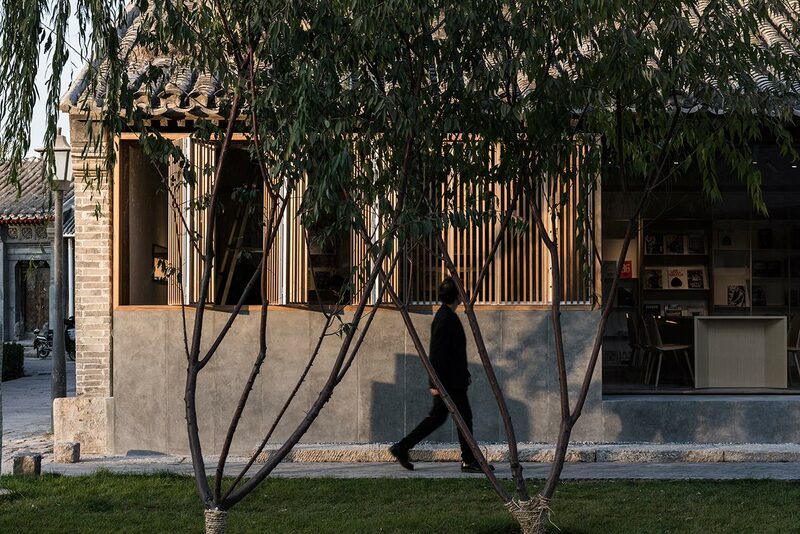 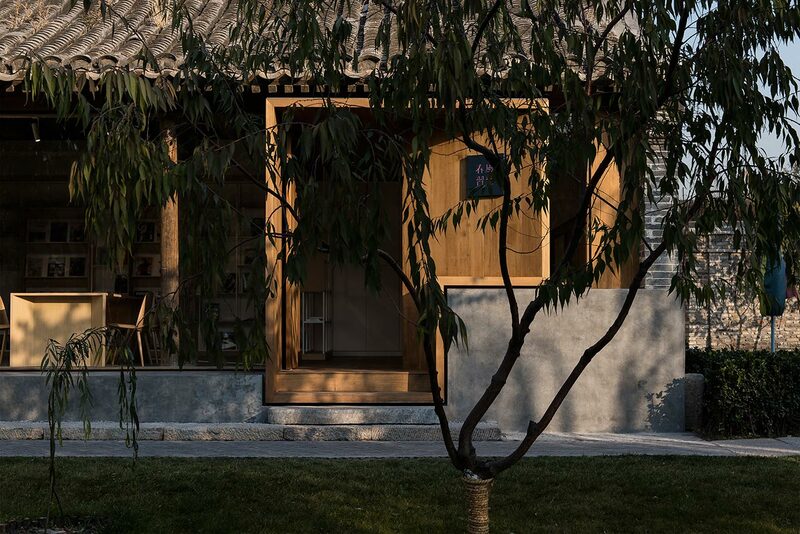 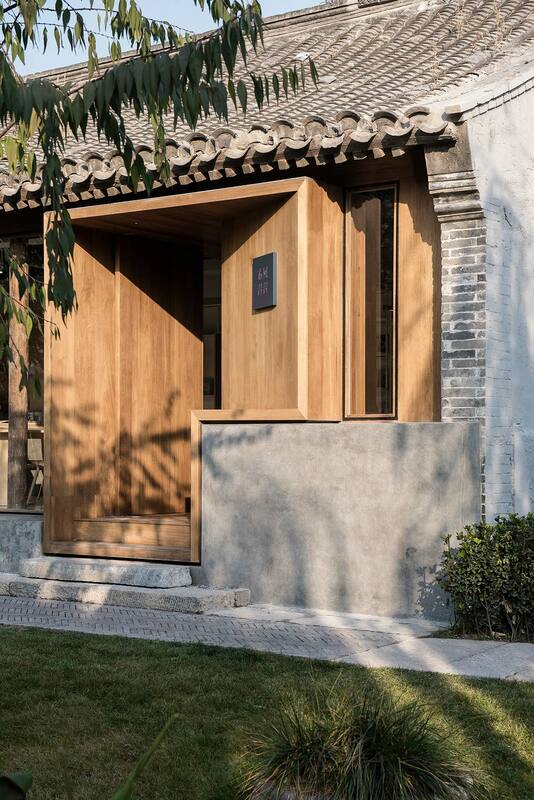 Facing a picturesque canal amidst the cobblestoned “hutong” alleyways in Beijing’s old city, the poetically named Spring Whispers Book Club is a neighbourhood library occupying a typical one-storey cottage that has been thoroughly renovated by local architects Fon Studio. 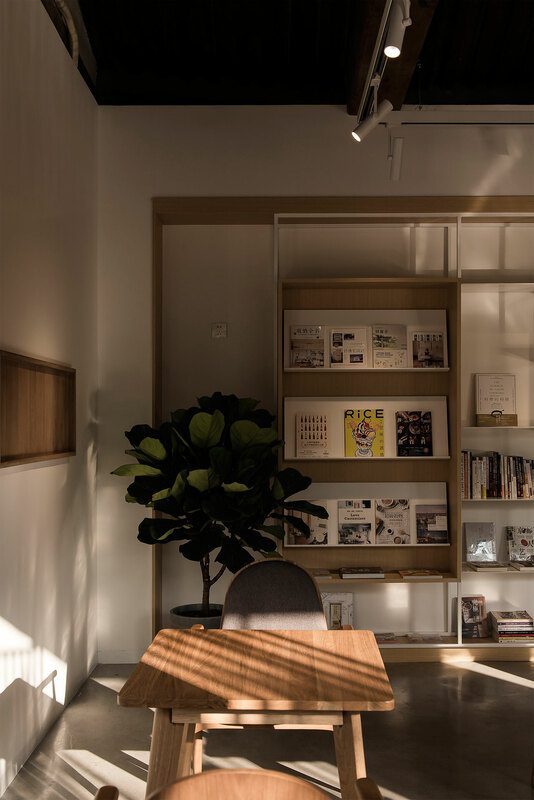 Retaining the modest character and proportions of the original structure, the architects have nevertheless imbued the Book Club with an aura of contemporary modernism by using a sparse palette of materials and a minimalist aesthetic of clean, geometric lines, smooth surfaces and trim less finishes. 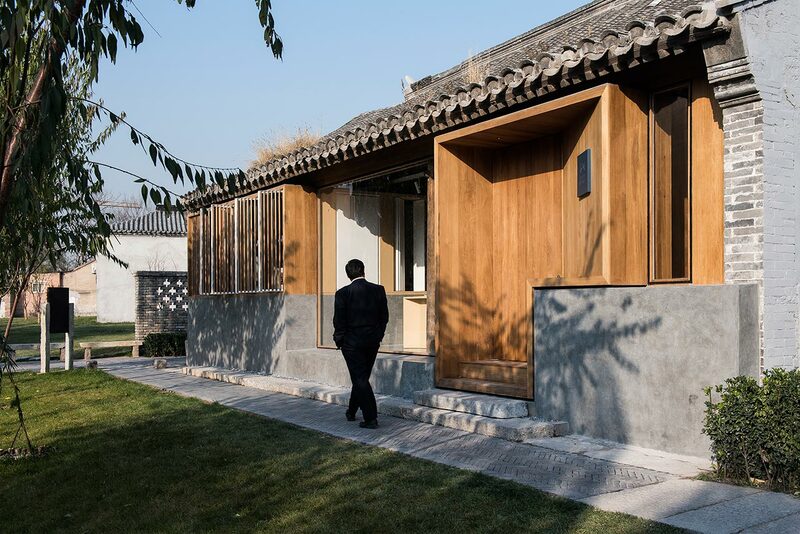 With the aim of reinforcing the building’s decaying structure, a new teak and steel framework that follows the traditional building techniques was inserted inside the original brick shell. 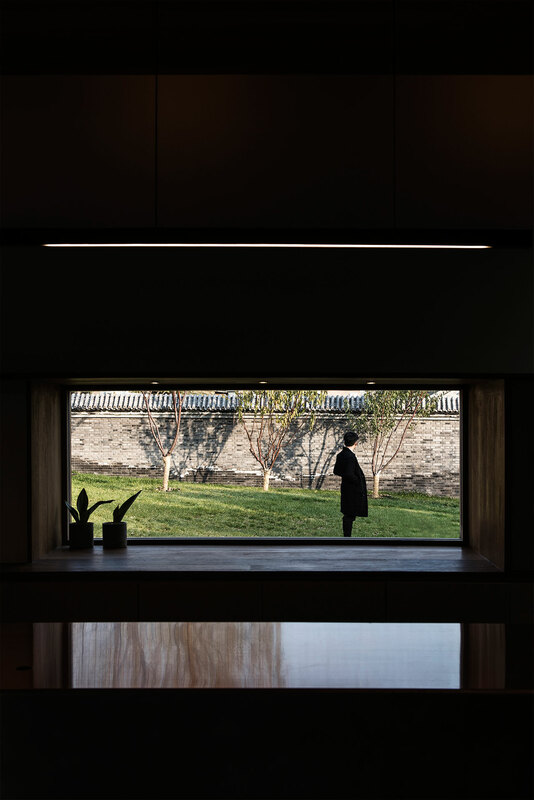 Standing on an elevated cement base, the post and beam construction supports the pitched roof while also enabling the canal-facing façade to be replaced with a new design of increased transparency and elegance. 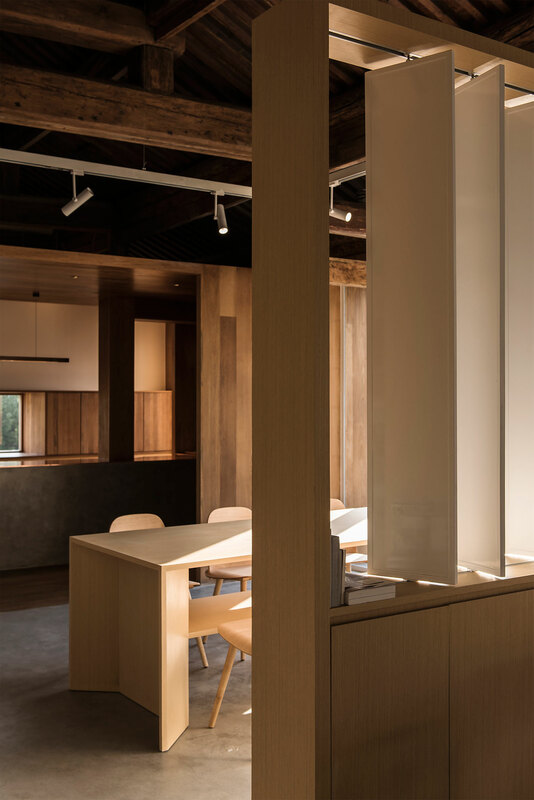 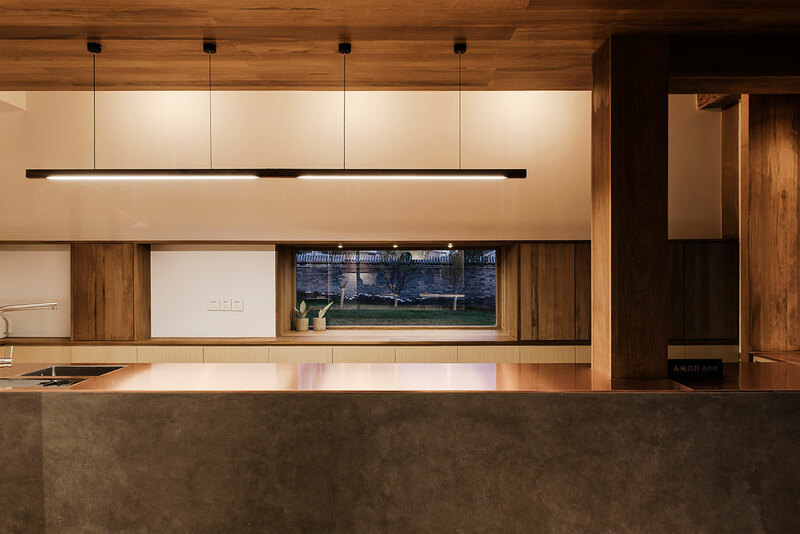 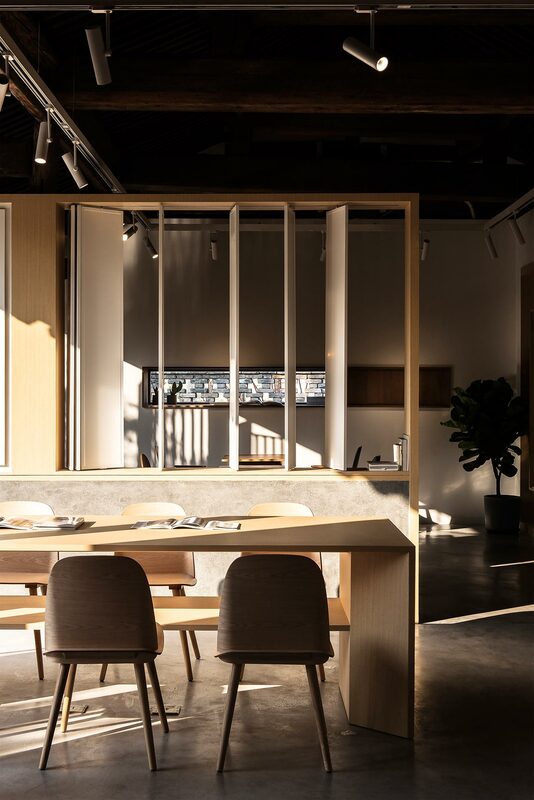 Allowing ample daylight to filter in, the re-designed wood and cement façade is crafted as a triptych reflecting the segmentation of the open-plan interior behind it. 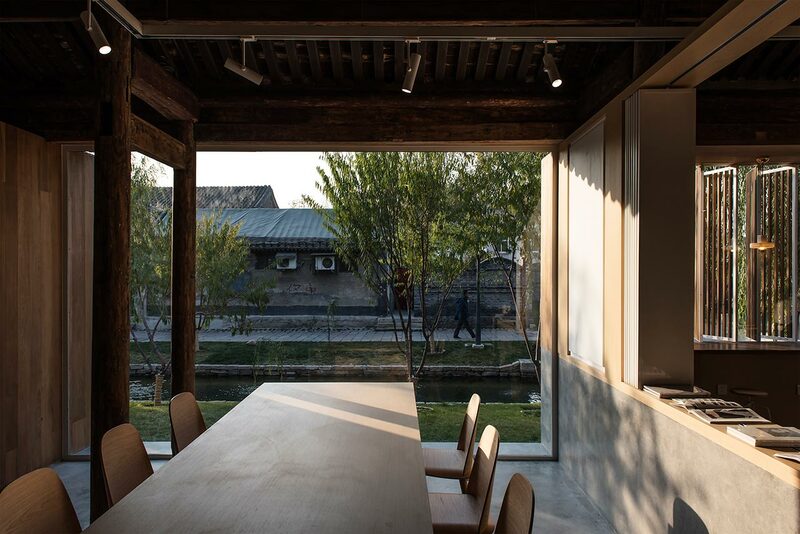 In the middle, a large floor-to-ceiling glazed area permits visitors sitting at the communal table in the central section to enjoy generous views of the canal and the grassy banks while reading or chatting. 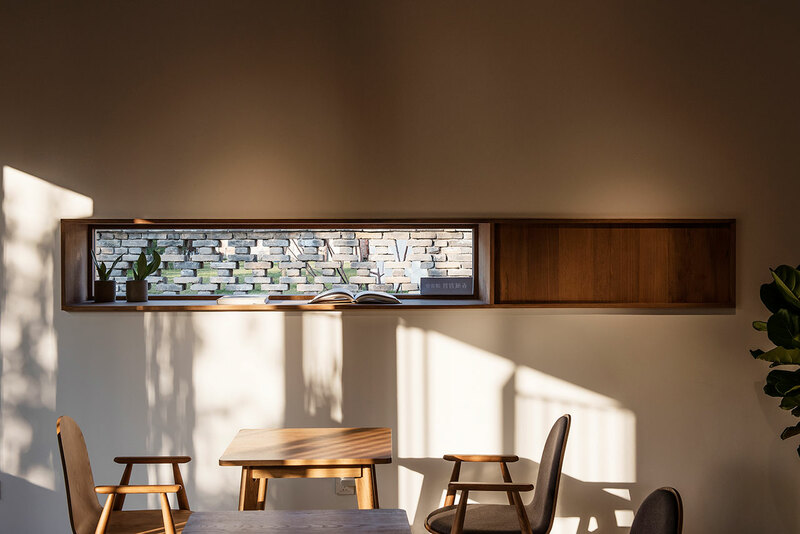 The adjacent reading area is a more intimate space, separated by a thick partition that incorporates shelving and a large opening that can be shut by the use of retractable vertical louvers; the latter echo the louvered window shutters that protect the space from the afternoon sun without completely cutting it off from the exterior landscape. 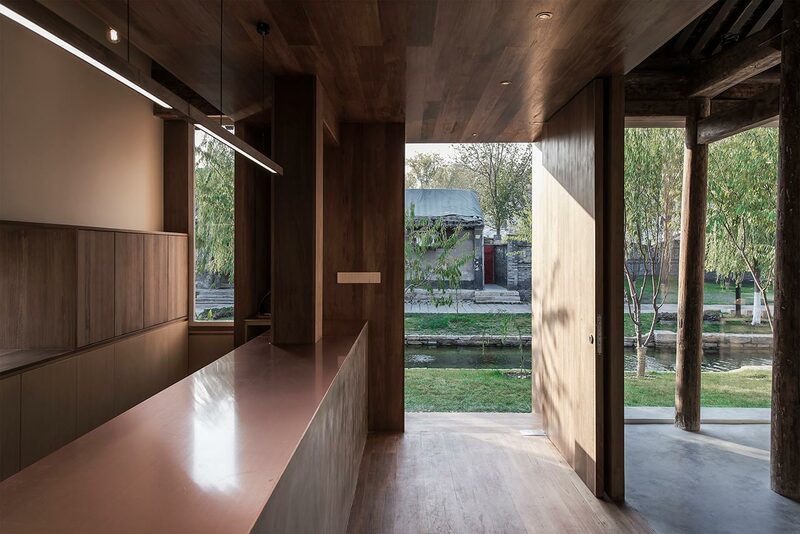 On the other side, a bar area featuring a long boxy counter greets visitors as they walk in through the wood-clad, prismatic entrance. 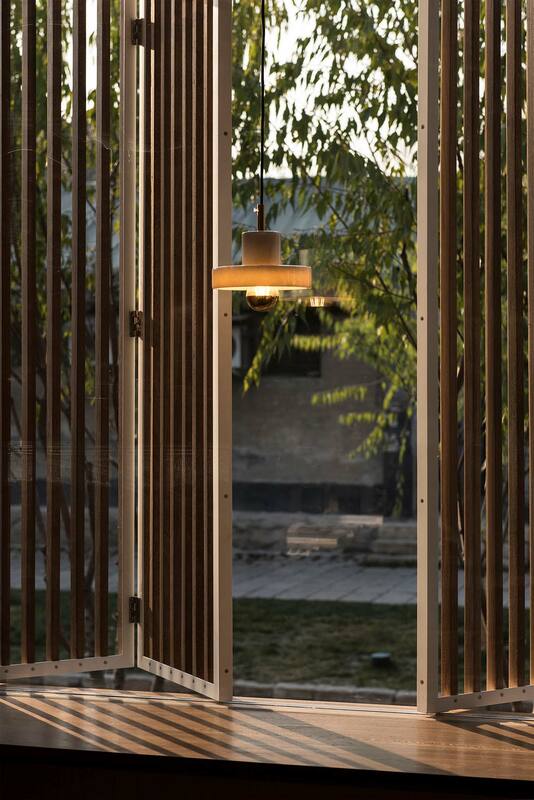 Uniting the two reading and sitting areas as well as separating them from the entrance, a light-weight structure of white steel and blond timber unfolds along the back wall. 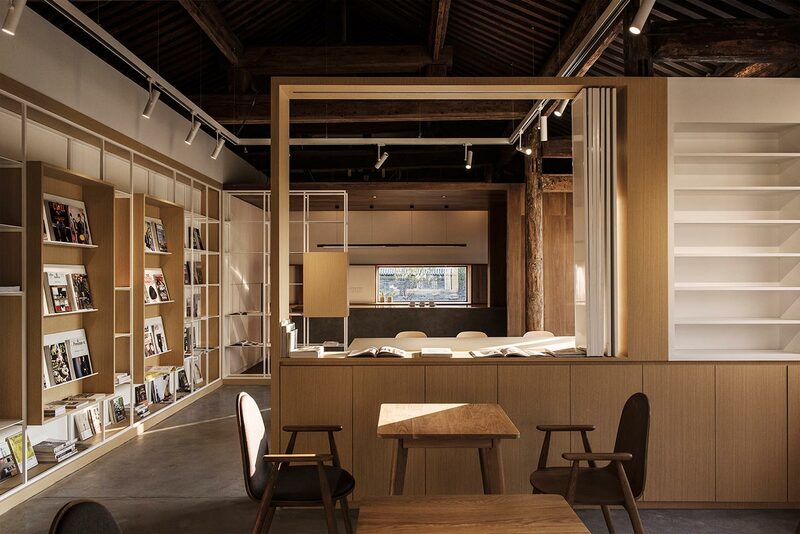 Functioning as the library's main display area for books and journals, it sets the tone for the crisp minimalism of the interior design: blond wood is used throughout for all the contemporary interventions, lyrically juxtaposed with the weathered sensibility of the darker wooden posts, beams and roof rafters, while white linear details such as the lighting rail, the internal louvers and shutter frames provide a refreshing break from the predominantly earthy palette of timber and cement. 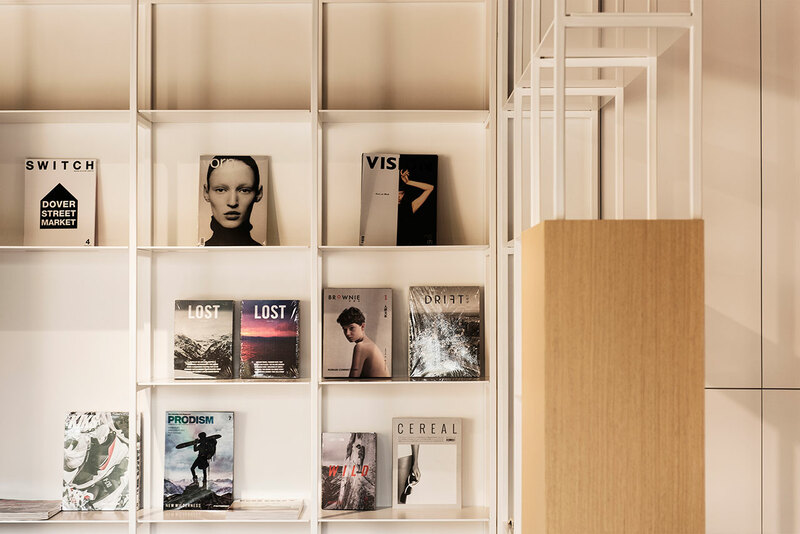 With a focus on books and journals about art, design, music and film, the Spring Whispers Book Club’s seamless marriage of traditional and contemporary elements makes it an ideal place to immerse one’s self into the magical universe of creative professionals.